Here is a detailed article about How To Create And Use Buy Now Links. Or watch this short video to see how they work. Now you can create Buy Now links for a product bundle. Suppose, for example, you sell archery equipment and you have several products that go together like a bow, arrows, and a quiver to hold your arrows. You can set these up in Cart66 as three distinct products. That way people can buy each product individually. If you wanted to announce these products in a newsletter as a great kit to get started with traditional archery, you could create a buy now that adds all three products to the cart and puts your customer on the checkout page ready to pay for the order. Remember from the basic Buy Now link demonstration, that buy now links are in this format. If you want to have multiple products in the Buy Now link, you just add additional SKUs to the list separated by a + sign – like this. Let’s assume we set up a store and picked archery as our store’s subdomain. 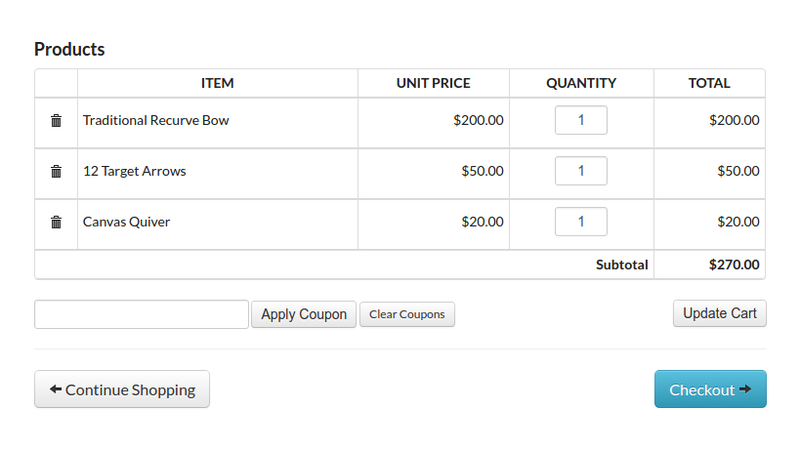 In the example of our archery equipment bundle, the Buy Now link would look like this. You might want to run that link through a URL shortener like bit.ly or goo.gl to get a nice, short link to share on your social media channels. When your customer clicks the link, they will be taken to the checkout page, ready to buy! Quantity: You can set the quantity for the bundle. Note that the quantity applies to all the products. So if you set the quantity to 2, in our example you will have 2 bow, 2 sets of arrows, and 2 quivers. 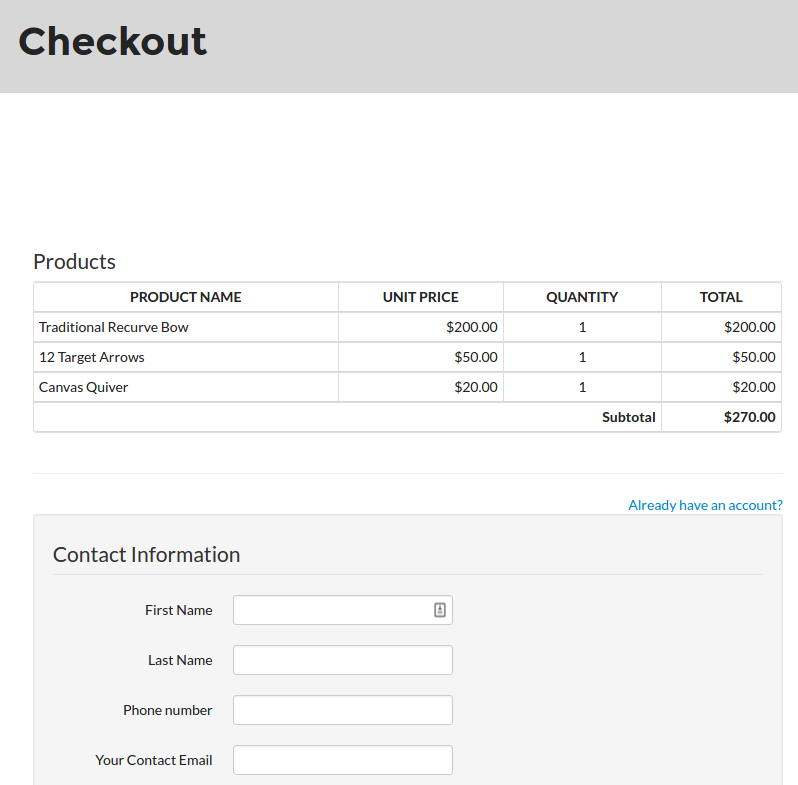 Redirect: You can have customers land on your View Cart page rather than your Checkout page. That way they can adjust the quantity and possibly apply a coupon code before checkout. For additional information, check out our knowledge base article on How to use Buy Now Links.